Patch, no markings or writing on reverse side. 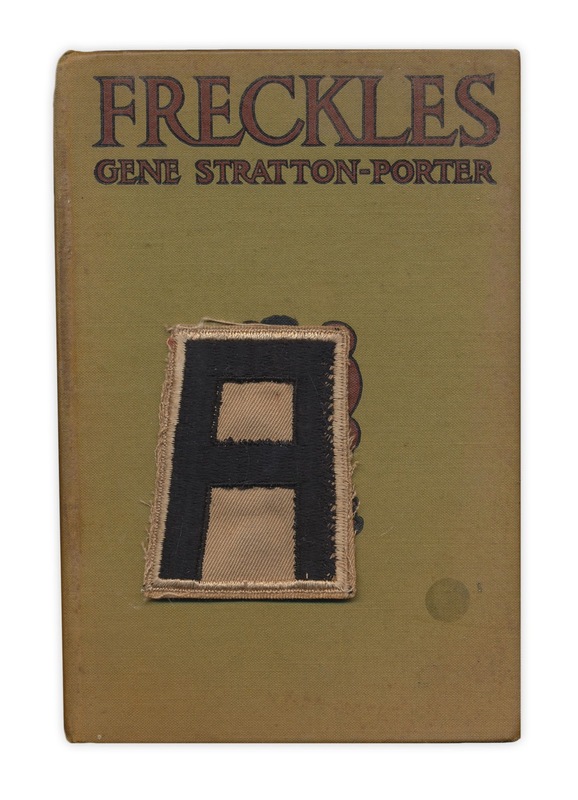 Found in "Freckles" by Gene Stratton Porter. Published by Grosset and Dunlap, 1904. That is a US First Army shoulder insignia, quite possibly World War I-era given the pub date. The "A" on a khaki background was used by First Army through the end of World War II.